“These Salomon Men’s Comet 3D GTX Hiking boots are extremely comfortable and a durable hiking boot that is guaranteed to last through anything. Boots have increased heel support and cushioning for long-term wear. With built in Goretex, these boots are waterproof and will keep your feet dry. Wet feet can be a killer in a survival situation so my bug out shoes have to be waterproof. I have owned these boots for a year and a half and they look brand new. Two of my friends own the exact same boots and have worn them daily for 5+ years. With three veterans in the group (and one of them currently serving), I was surprised to see no combat boots on the list. I loved my tan side-zips while I was active and in the reserve, but they do have some serious weight to them. 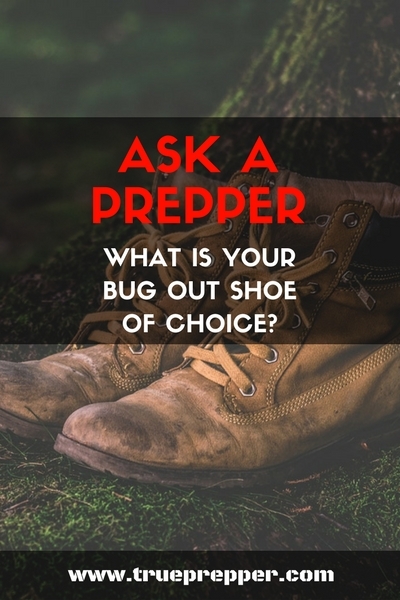 We all steered towards bug out shoes that are lightweight but still rugged. Do you have a pair of shoes that has served you well? 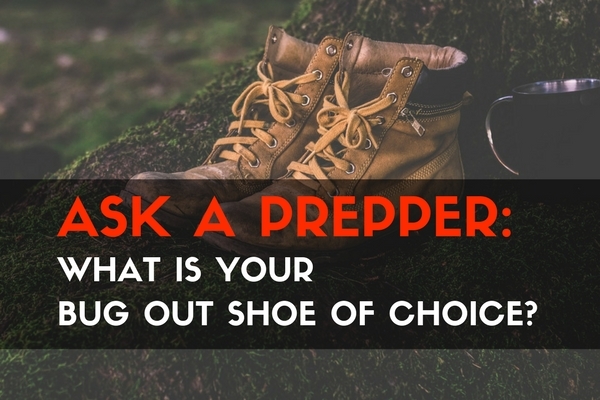 What bug out shoes do you plan on wearing if you need to get-out-of-dodge? I’d go with Doc Martins. They are on the heavy side but are definitely hardy. So far, people seem to prefer Merrell and Keen hiking shoes/boots, with a few preferring repairable leather. I recently bought my first pair of Thorogood work boots to do yard work at home and for a tougher stuff at our cabin. I had no idea they’d be so comfortable. That said, I am currently leaning toward these over my other hikers and walkers. Thorogood is one of the few USA boot makers that make good work boots in women’s sizes.